This month the XVth World Water Congress is taking place in Edinburgh. From the 25th to the 29th May, scientists, practitioners and policymakers from around the globe will gather to discuss the challenges posed to water resources in an increasingly complex world. CommsConsult will be heading up to Scotland to be a part of it. In the 2014 IPCC report on Impacts, Adaptation and Vulnerability, water seems to be the greatest indicator of climate change; whether through changing precipitation patterns, melting glaciers or changing marine habitats- climate change is having an observable impact on water management practices across the world. What the IPCC report makes clear is that these changes are not on the horizon- they are already in effect and that policymakers and scientists must come together to establish realistic strategies for adaptation and risk management. It is for this reason that a special session at the WWC, organised by Canada’s International Development Research Institute has such significance. Climate change and water challenges: Solutions from the developing world will take place on Wednesday the 27th May. Eleven researchers from across the developing world will come together to present original research and discuss the challenges already being addressed in some of the world’s most climate vulnerable communities. From the impacts of rising temperatures on the aquaculture industry in Thailand, to addressing gender imbalances in climate knowledge in Vietnam, to the effects of water scarcity on displaced and conflict-affected communities in Angola’s coastal regions, IDRC research partners will look at the economic, cultural and environmental changes in effect and how research and systematic data collection can improve development outcomes. This session provides a valuable space for southern-led research to be showcased within an international congress and CommsConsult are excited to be a part of it. Megan Lloyd-Laney will be facilitating the event, ensuring that key messages are drawn out from the research and making sure the most pertinent questions are answered. A major part of the day will be the TV panel at the close of the session- this will draw on questions that have been digitally crowd-sourced before the event. It will provide a platform for lively debate between the panelists on priority issues around water and climate change and will aim to bring out some key learning from the day. The IPCC report last year made it more than clear that climate change is only going to impact upon more communities in the future. This session sits within a much broader global conversation on how to tackle these growing challenges. CommsConsult are responsible for making sure that the key messages from the event stretch beyond the day itself and become part of a wider digital dialogue. We will be providing social reporting around the event. Betty Paton will be there on the day providing social media coverage and ensuring that the online dialogue feeds into live conversations in the room. 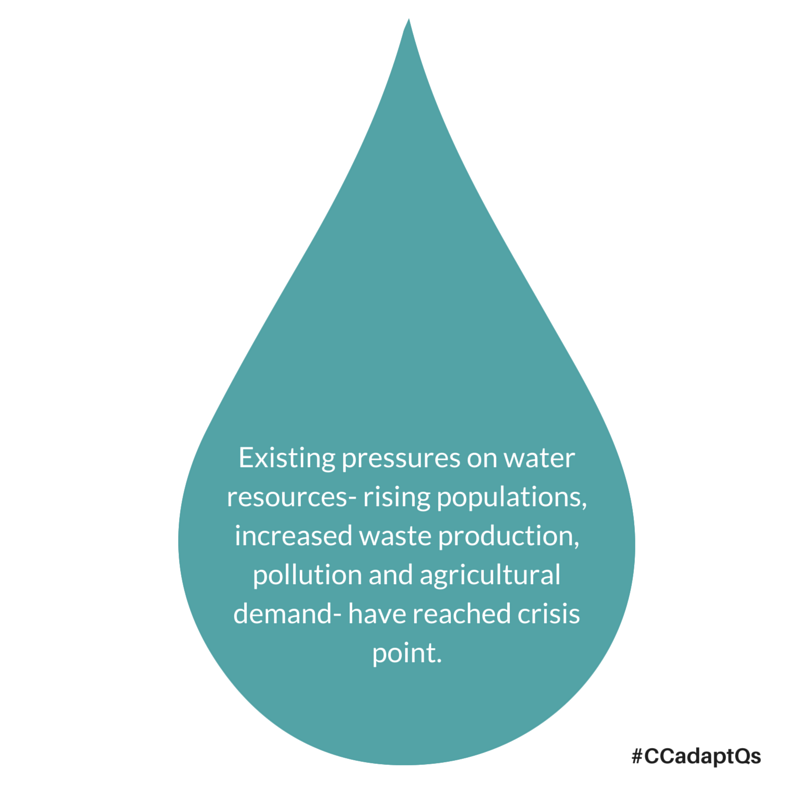 The session has its own twitter handle @H2OClimate and participants are invited to submit questions for the panelists via #CCadaptQs. It will also be broadcast live at key points throughout the day to enable remote attendance. The XVth World Water Congress has the potential to foster conversations that could lead to real benefit. IDRC recognises that southern-led climate research has to play a key role in these discussions. However, they also see that these discussions need to be heard beyond the congress- that is why CommsConsult will be there, ensuring that these voices are heard globally.